An avocado (or two) a day keeps the doctor away! Avocado's are loaded with healthy fat. 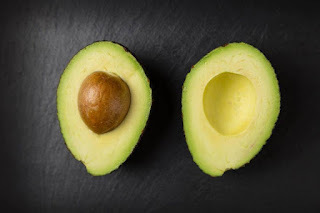 Fat is the most satisfying thing you can eat so when you are trying to cut carbs and lose weight you need to make sure to increase healthy fats like avocados. Moderate to high fat diets have consistently shown to be the most beneficial when it comes to weight loss. Many experts suggest getting anywhere from 40-50% or more of your daily calories from healthy fats. For someone eating 2,000 calories a day this would equate to 88-111 grams of fat per day. Most people are nowhere near this and if they are it's not healthy fat. One avocado has around 21 grams of fat.